Next up in the Mother’s Day Gift Guide is one of my favorite new companies that has exploded onto the direct sales scene. 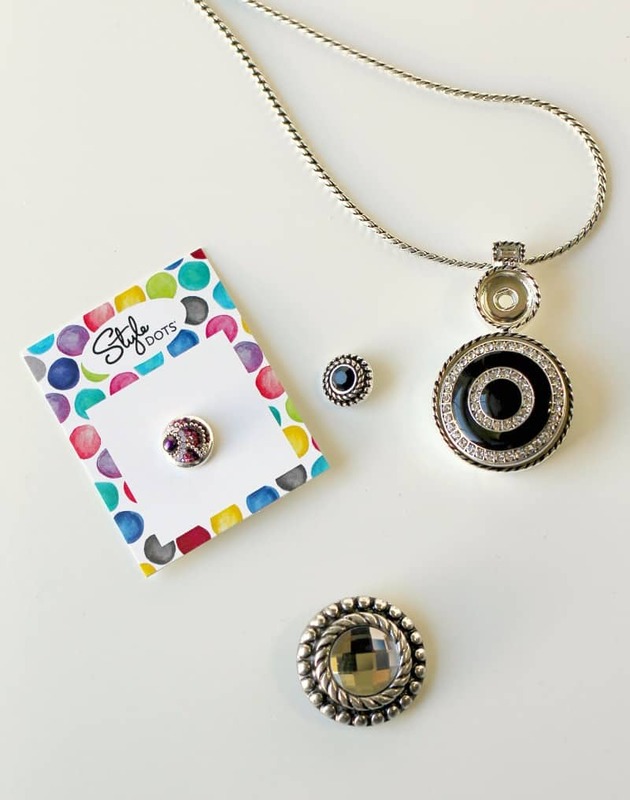 Everyone knows I love stuff that can be customized and interchangeable, so when Independent Style Dots Consultant Tandi Story said she was sending me a Style Dots Necklace – I was ecstatic! StyleDots is a unique jewelry direct sales company that lets you change the look of your jewelry in a snap! 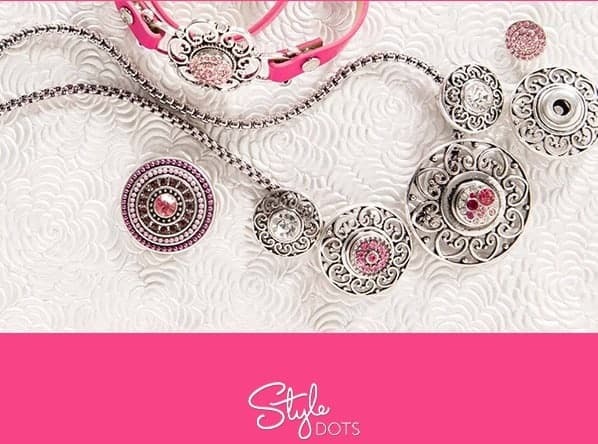 Style Dots offers customizable necklaces, earrings, bracelets and rings which have interchangeable “dots” to match your mood, outfit, or occasion. They even offer a line of handbags which can sport your favorite Dot to give it just the right amount of bling. With over 100 Dots to choose from, you can literally customize your look every single day. Style Dots offers initial dots, birthstone dots, hobby dots, holiday dots, and more. The Dots simply but securely snap into each piece and are easily removed with the Dot Tool that slides under the dot to release it. Tandi sent me the Allure Combination Necklace which allows you to flaunt not one, but two of your favorite Dots. It hangs securely on a premium 17″ antiqued wheat chain with 3″ extender. You can choose matching or complimentary “Dots” from the dozens of designs. They even have a new Couture Line of Dots that give off more sparkle than a photograph could ever do justice for. The Allure Combination Necklace holds one Original and one Statement Dot that you can easily pop in and out to change. Style Dots was created by three women who had all been wildly successful building direct sales businesses as independent consultants. They have “been there, done that” and know both the struggles and the celebrations that come with owning your own business. Their generous Hostess Plan and unique Compensation Plan make this up and coming ground floor business opportunity one to watch! Check out Tandi’s Website to learn more about how you can get involved with Style Dots. I am super excited to be offering one lucky reader a $25 Shopping Spree to Style Dots from Independent Style Dots Boutique Owner Tandi Story! You can enter using the RaffleCopter widget below! good luck! This giveaway has ended. Please check out our most recent Gift Guide to find active giveaways.